Imagine a world of giant paper mache toadstools, neon rabbits projected onto walls and drinks served from teapots. This is the world of Through The Looking Glass. 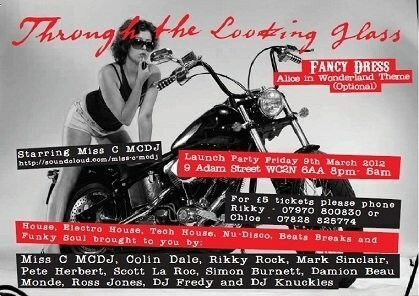 This Friday (9th March) Adam Street Private Members Club plays host to a night like no other “Through The Looking Glass”. Attendees will be whisked off on a mini break from reality into a world of fun, fantasy and an alternative reality! Miss C MC, Colin Dale, Rikky Rock, Mark Sinclair, Pete Herbert, Scot Larok, Simon Burnett, Damion Beau Monde, Ross Jones, DJ Fredy, DJ Frednev and DJ Knuckles. Click here to listen to last years mix on Soundcloud. Tickets are available to purchase online until 5pm tomorrow evening. 2nd release – £9.00 + £1.00 (closes Fri, 9 Mar 5:00pm). Click here to avoid dissappointment now! 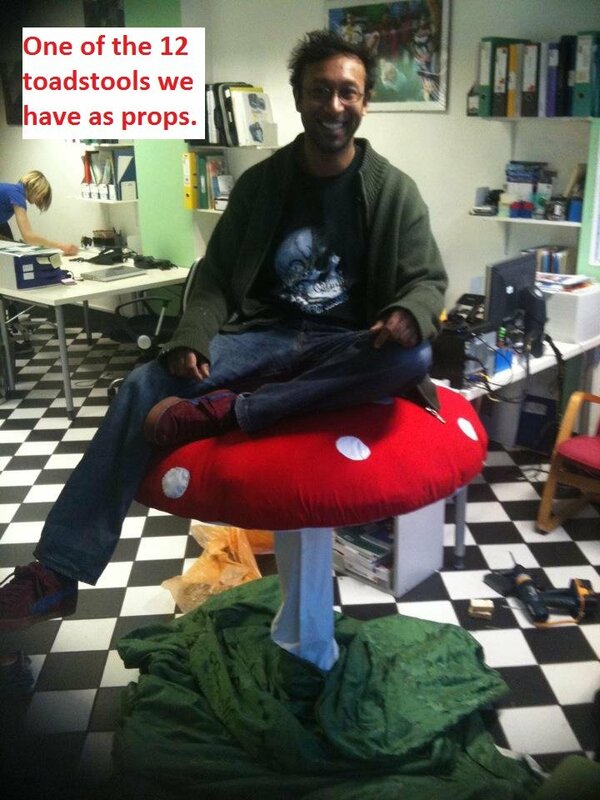 Through the Looking Glass organisers have just uploaded a sneeky pic to their ticket hosting site… Who’d wanna miss out on the chance of sitting on a toadstool?? Through the Looking Glass takes place tonight – tickets still available!